Centralia, WA. – Nov. 3, 2015 – Centralia Outlets announces Gold Toe’s Grand Opening on Saturday, Nov. 7. The store will be located at 1338 Lum Road, next to Kay Jewelers Outlet and across the walkway from Claire’s. Gold Toe designs and manufactures name brand socks and hosiery for men, women and children. Gold Toe socks are made with only the finest quality yarns. Currently, Gold Toe Inc. operates 52 Gold Toe stores in outlet malls nationwide. Gold Toe will join over 30 famous outlet tenants at the Centralia Outlets, including newly opened Francesca’s and major brands Polo Ralph Lauren Factory Store, Coach Factory, Nike Clearance Store, Gap Factory, Under Armour, Kay Jewelers Outlet and Chico’s, just to mention a few. The outlet center is located on Interstate 5 at Exit 82 in Centralia, WA. The hours of operation are 9 am – 8 pm. Monday – Saturday and 10 am to 7 pm on Sundays. 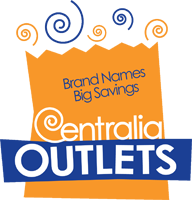 For more information call (360) 736-3327, visit www.centraliaoutlets.com, Facebook and Pinterest.